Ever since I found THIS TUTORIAL online from Little Birdie Secrets, I knew my kids and I HAD to try this. How easy and fun! My kind of project. First, it gave us an excuse to gather every single crayon scattered across the far-reaching corners of our house. Then we peeled and peeled until they begged me to just take over and do it myself. Then the kids sorted the colors as they wanted. 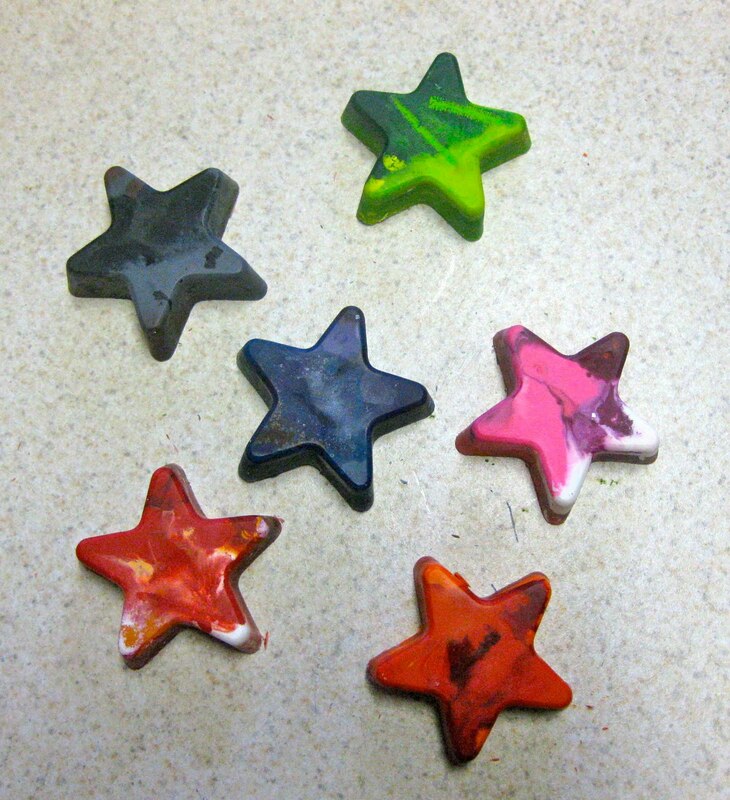 Once they were cooled (took a couple hours), my two oldest thought these were the coolest things EVER. Coloring took on a whole new dimension in their minds. If you are reading this, you should definitely try it sometime. 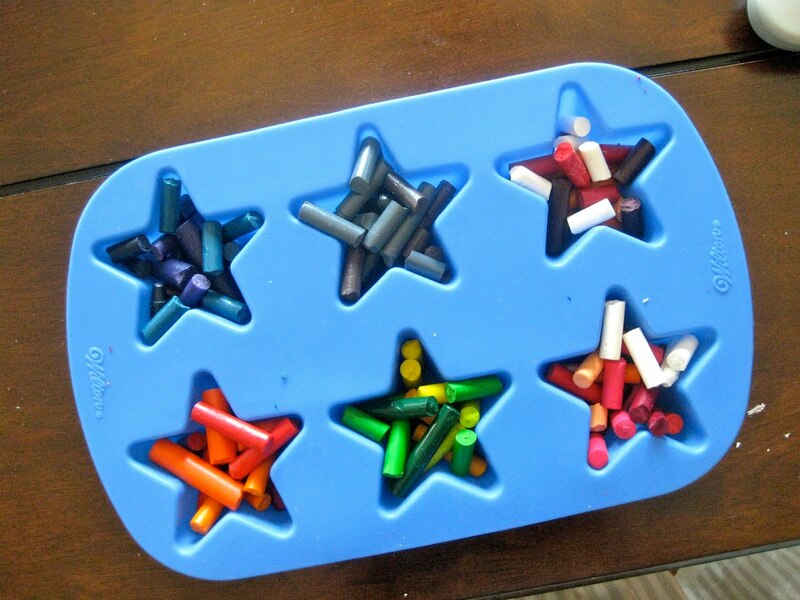 You'll never have to throw away another broken crayon again. I made some heart shaped ones a few years ago for Valentines. They really are a lot of fun to make.